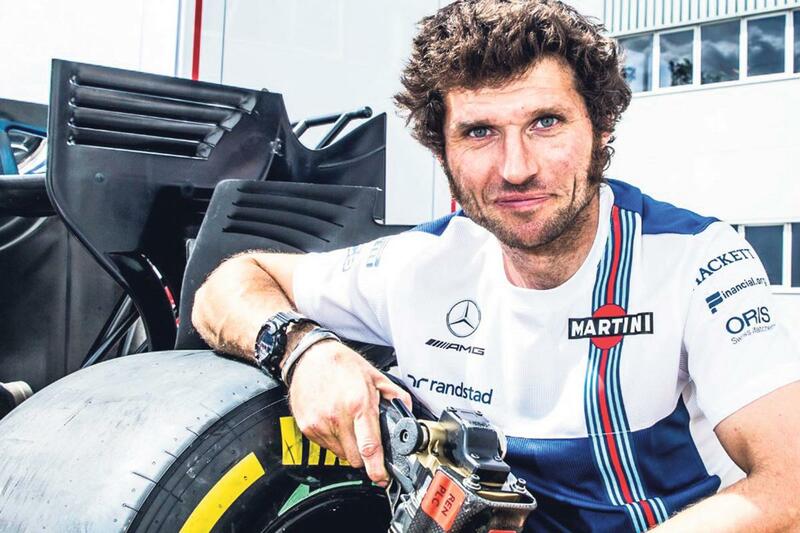 He might be 'just a truck mechanic', but Guy Martin spent last weekend among the glitz and glamour of the Formula One paddock. The Lincolnshire-based truck mechanic spent the weekend as part of the Williams F1 team at the Belgian GP, helping the team build and strip the car over the weekend and even taking part in the super-slick pit stops. Guy's been a busy boy this year, returning to road racing and the TT this year with Honda, although that didn't quite go to plan, and in July Guy called time on his international road racing career. Last month he got the chance to ride one of his bucket list bikes; the Honda RC174 at Castle Combe, and he also took part in the Spa Bikers' Classic, racing for Team Classic Suzuki. Guy spent some time at Williams' HQ before the race practicing pit stops and learning the ins and outs of the prototype machine. Could we see Guy move over to F1 in a more permanent role? Who knows, but from the interview he gave to David Coulthard during the weekend, below, it's certainly something he's passionate about. This isn't the first time Guy has been involved with Formula One. Last year Guy went head-to-head with Coulthard onboard his Tyco BMW S1000RR at Silverstone, taking on a series of challenges for his Channel 4 series 'Speed with Guy Martin'. One of the challenges for that show was a pit stop challenge, which saw Guy attempt to change the front wheel on a Formula One car.